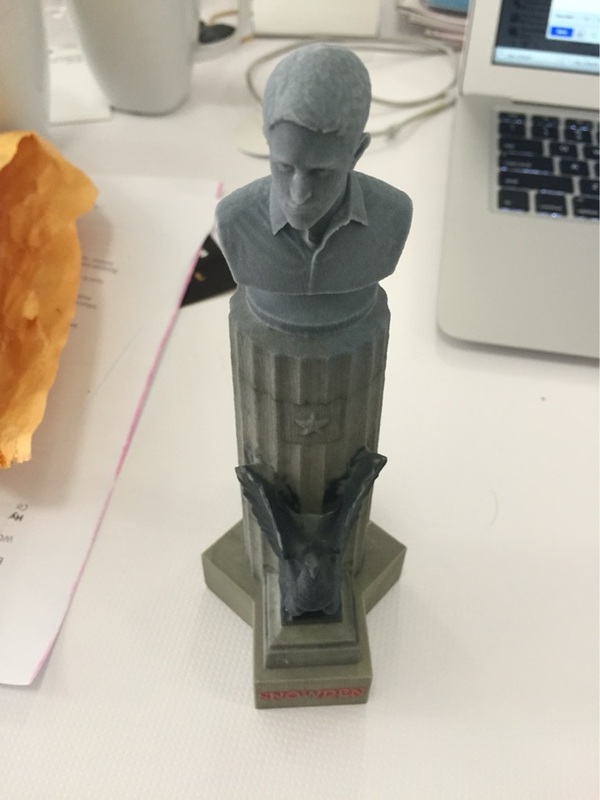 The statue of Edward Snowden, called by its creators Prison Ship Martyrs’ Monument 2.0, was an ephemeral, illegally-installed public statue of Edward Snowden, an American whistleblower who leaked classified information from the National Security Agency (NSA) and was charged with federal crimes as a result. The bronze-like statue was placed in Fort Greene Park in Fort Greene, Brooklyn, New York City, on April 6, 2015. It was attached to a Doric column on the perimeter of the park’s Prison Ship Martyrs’ Monument, a memorial and which honors more than 11,500 American prisoners of war who died in the American Revolution. The statue was mounted by three anonymous artists and their helpers, who were dressed in white helmets and reflective vests of Parks Department workers, early in the morning of April 6, then covered and taken down by NYC Parks officials later that day.